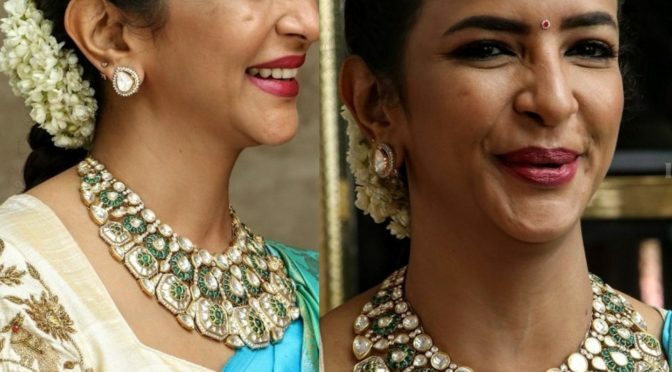 Lakshmi manchu in blue banarasi silk saree at Soundarya rajinikanth wedding! 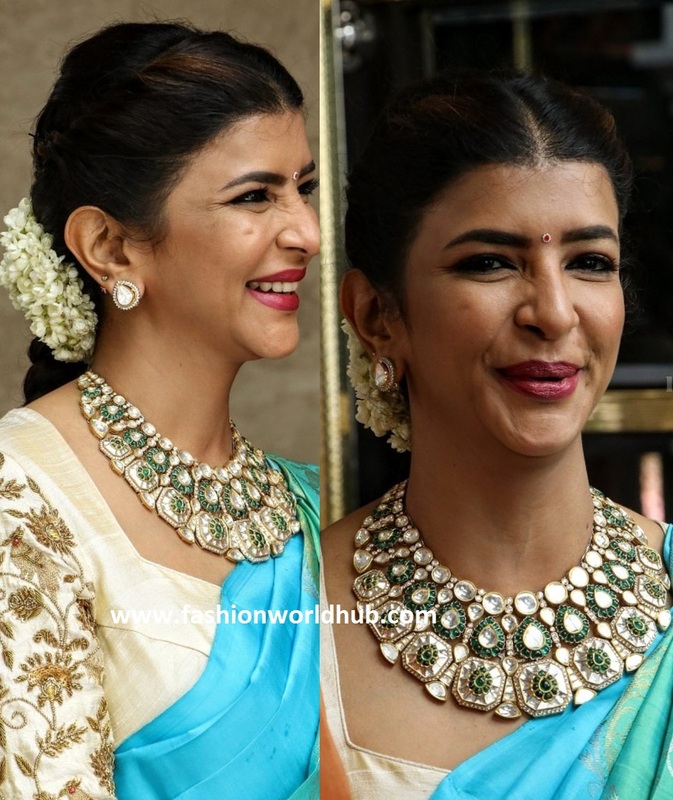 Lakshmi manchu attended soundarya rajinikanth wedding and was seen in beautiful blue banarasi silk saree paired with contrast cream zardosi work blouse and she finished her look with statement polki diamond jewellery, up do hair adorned with white flowers. She looked lovely! 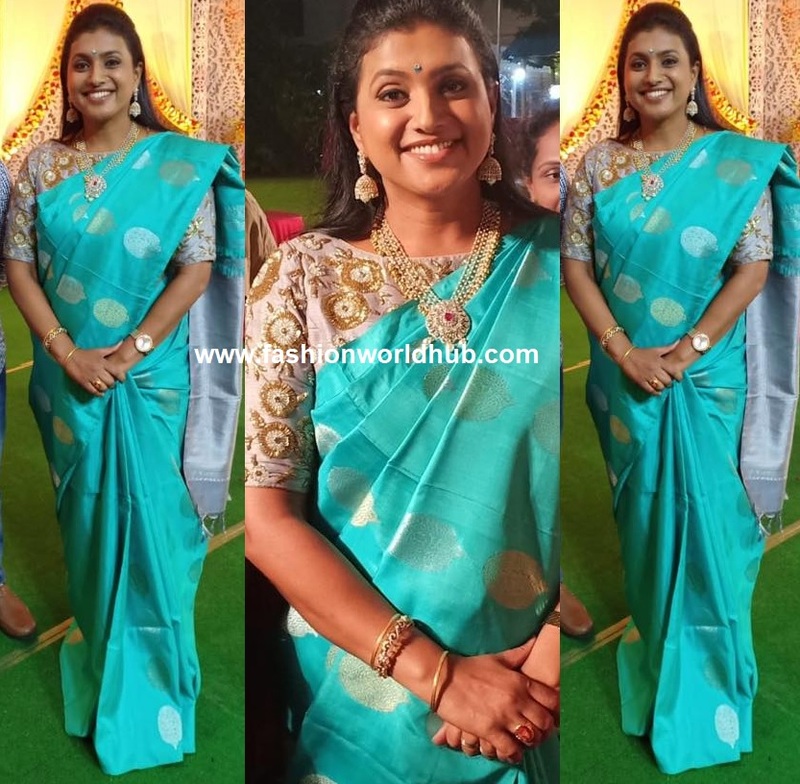 Actress Roja in blue silk saree! 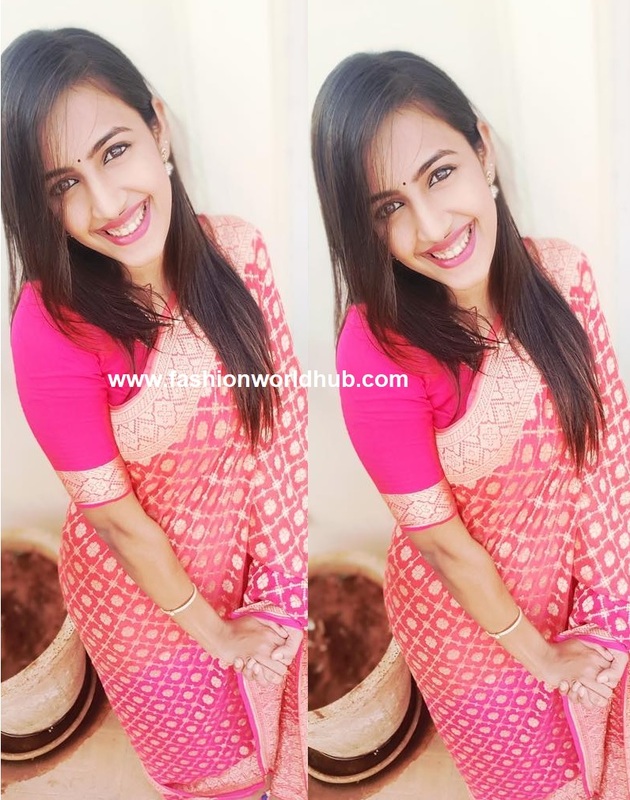 Previous PostKajol in Pink silk saree at Soundarya rajinikanth and Vishagan wedding!Next PostMeena in a pink Kanjivaram saree at Soundarya Rajinikanth’s wedding!